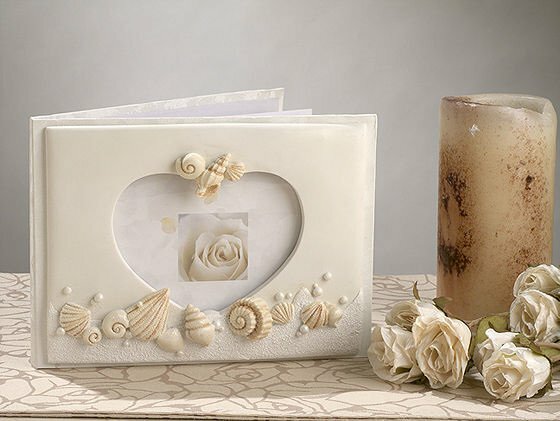 Carry your seaside theme over to your reception and beyond with this stunning beach themed wedding guest book, accented with seashell designs on the cover. 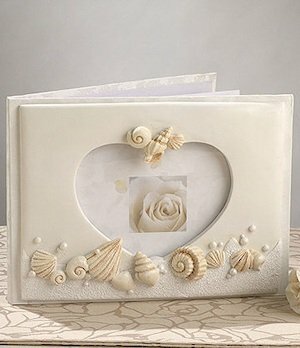 The 8" by 6" beach theme wedding guest book features neutral colors and a heart-shaped cover insert, perfect for slipping in a photo of the two of you! Guest book arrives in a white gift box.